Arsenal bound midfielder, Lucas Torreira has become Arsenal fans favorite player at the ongoing FIFA World cup. The Sampdoria midfielder has been having a stellar world cup with Uruguay and this has made him gather more support from the Gunners fans. His performance against Portugal in the round of 16 of the world cup on Saturday gave more fans the opportunity to see him play in a big game and see what he can do. His ability to stop Cristiano Ronaldo in the game was also another talking point from the match that fans hold on to. This kind of impression will always make the fans love a player and will be expecting them get behind him in other games. This summer has been a busy one for Arsenal has the club has actively been getting new signings to the club, which include, Stephan Lichtsteiner, Bernd Leno, and SokratisPapastathopoulos while Torreira is expected to arrive imminently. The world cup seems to be the delay in confirming the Torreira deal as everything seems to be over the line. 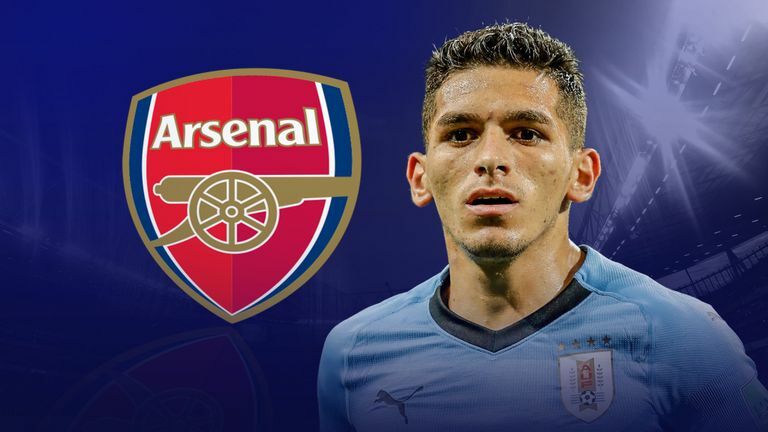 Speaking to Radio CRC in Italy, Ricardo Torreira, the player’s father, seems to have given the hint that the player will move to the Emirates once Uruguay are done with the world cup. “I want the best for my son and I also know that Arsenal showed a lot of interest in him,” he told the radio station, as reported by Caughtoffside. With the father’s statement, Arsenal fans has already started following Torreira on social media. So, when he post a picture, they flood his mention with comments relating to his move to the Emirates. Hopefully, the deal will be done as soon as the world cup is over. He will be a big addition to the Gunner’s midfield.